"Standing down from tomorrow’s launch attempt of Spaceflight SSO-A: SmallSat Express to conduct additional inspections of the second stage. Working toward a backup launch opportunity on December 3," SpaceX said on Twitter. Under the new schedule, the launch will take place from the Vandenberg Air Force Base in California around 10:32 a.m. local time (18.32 GMT) on December 3. 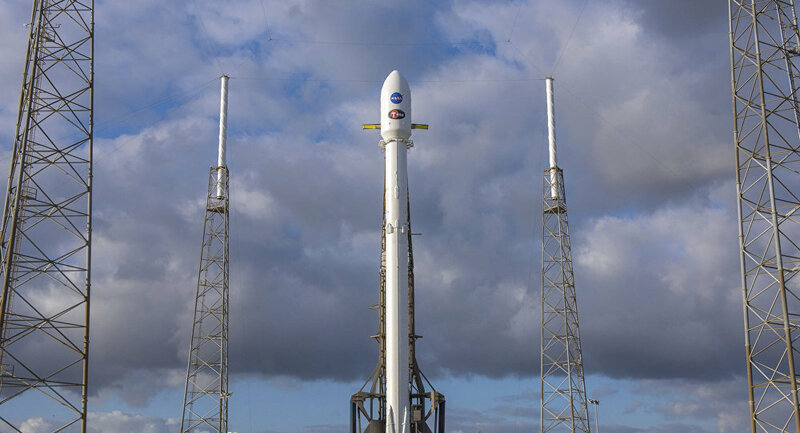 South Korean Ministry of Education, Science and Technology also confirmed that the launch of their new satellite, which, among other cargo, is expected to be sent to orbit by Falcon 9 launch vehicle, was postponed. However, the ministry cited adverse weather conditions as the reason for the delay. During the Spaceflight SSO-A: SmallSat Express mission, the Falcon 9 rocket must deliver 64 spacecraft from various commercial and government organizations to low-Earth orbit. Among them there are 15 microsatellites (22-220 pounds) and 49 cubesats — small artificial satellites of the Earth for space exploration, including 25 small satellites beloningg to international organizations from 17 countries, including the United States, Australia, Italy, the Netherlands, Finland, South Korea, Spain, Switzerland, the United Kingdom, Germany, Jordan, Kazakhstan, Thailand, Poland, Canada, Brazil and India.